Cornwall presents a number of logistical challenges for the house mover. We are used to dealing with diverse factors including tiny dirt lanes, heavy seasonal tourist traffic and coordinating flights and ferries to the Isles of Scilly. We have a range of vehicle sizes so that we can access all of the twisty lanes and byways around our beautiful Cornwall. 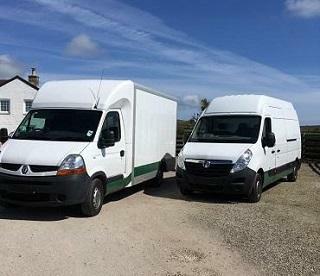 Our experience moving people in, out and around Cornwall and the Isles of Scilly mean that you can depend on us for a hassle-free move.